Blowout Sale! Save 66% on the White Paisley Ties Pocket Square Cufflinks Set Wedding Necktie Set by Barry.Wang at SCRHI. Hurry! Limited time offer. Offer valid only while supplies last. Barry.Wang sells more than 1000 styles of neckties, tie pins, cufflinks, pocket squares, leather belts, and bags with over 80 offline shops in China. 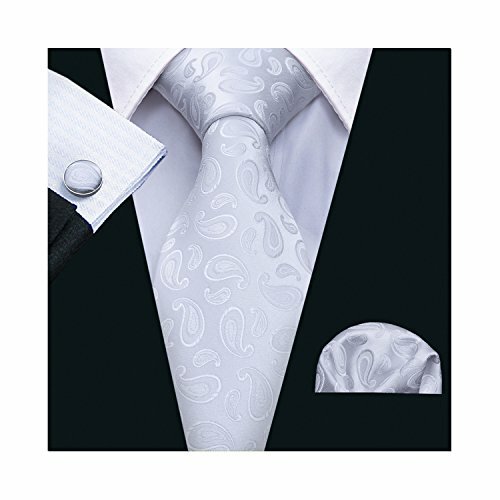 ①Perfect Set-Necktie+handkerchief+cufflinks, easy to match shirts ans suit.